I strongly believe that every person who wants to have a doula should be able to have one. I understand that there are lots of aspects to consider when thinking about your ideal birth and postpartum experience. Paying for a doula along with a crib, car seat, childbirth education and other baby/new parent accoutrements can get expensive! If you are in need, I am willing to work with you to find a payment option that works for you and your family. Here are some of the options I offer. I offer discounted rates to families who might not be able to afford a birth doula, postpartum doula or placenta encapsulation. The discount is offered on a case-by-case basis. Contact me at carriemurphydoula@gmail.com if you’d like to discuss a sliding scale. After an initial deposit, we can work together to make a monthly or bimonthly payment plan that fits your budget and lifestyle. I’m totally open to payment in installments, as long as we have an agreement in writing. I can assist you in setting up a site so your friends and family can contribute towards your supported birth or postpartum. Put a doula on your registry, and ask friends and family to contribute what they can. No amount is too small! Birth or postpartum doula services and make great shower gifts. Postpartum support can be purchased by the hour or as a package of at least three hours. Ask me about gift certificates! It is possible to apply for insurance reimbursement for doula services from your insurance company, although reimbursement is not guaranteed. I can work with you if you want to get reimbursed or use HSA /FSA money to pay for doula services. I am open to trade or barter for some services. Please feel free to inquire if you have a good or service you are interested in offering. 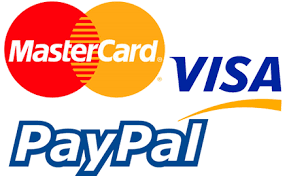 We can accept Cash, Checks, Credit cards, and PayPal in most cases. We also accent Payment via Venmo. Payment plans are optional for some services. For those in financial need please email about potential options.